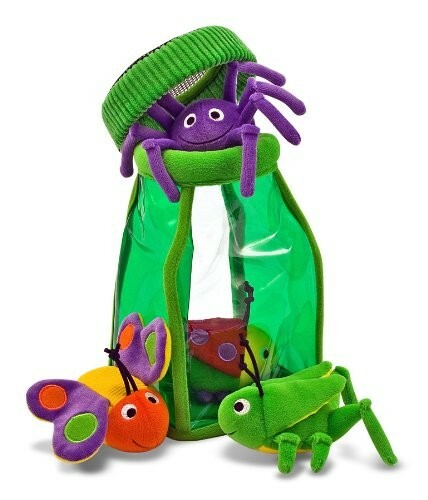 From Melissa and Doug, this Bug Jug Fill and Spill toy comes with four bug buddies in a jug with a mesh-top lid. 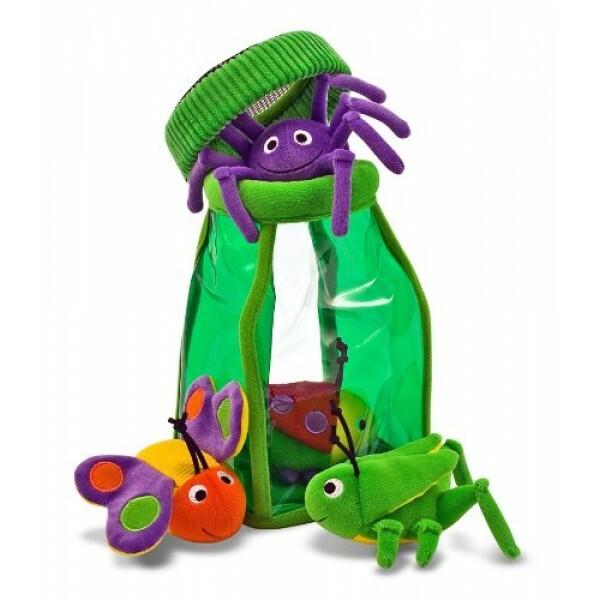 These multi-textured toys rattle, jingle, squeak and crinkle in little hands, and are made with ultra-soft materials. These clever activity toys help develop fine motor skills and hand/eye coordination, plus stimulate tactile senses in delightful ways! Multi-piece sets are self-storing and great for travel.